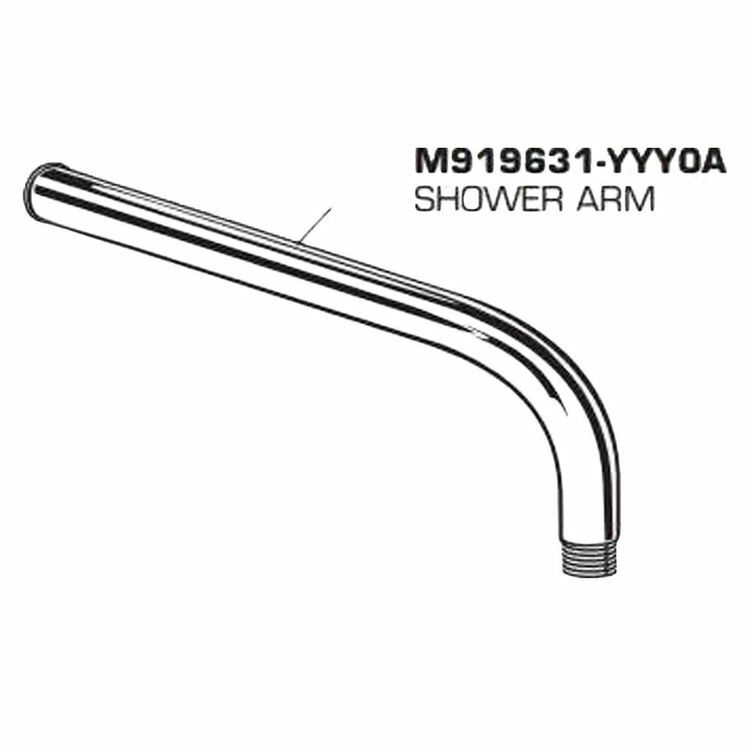 The American Standard M919631-2950A Shower Arm is a genuine replacement part for some American Standard faucets like the Times Square bath and shower trim kits. Consumers who price products that will give them a run for their money have always trusted American Standard! What's so great about such a small replacement part? The timeless design and superior durability of this replacement part reflect American Standard's endless creativity and prowess in achieving customer satisfaction. It comes in a stunning satin nickel finish that will never have trouble matching with any bathroom fixture. Crafted for a smooth operation, it contributes to making sure that your faucet works properly for your utmost convenience. This shower arm is developed to perform and last the way it is originally intended to. American Standard is legendary for their products' water efficiency, quality, and style. They continue to edge to the upper end of the market with their innovations that find their way into more homes and establishments in the USA and around the world. Shipping Dimensions 12.6" x 7.5" x 1.8"